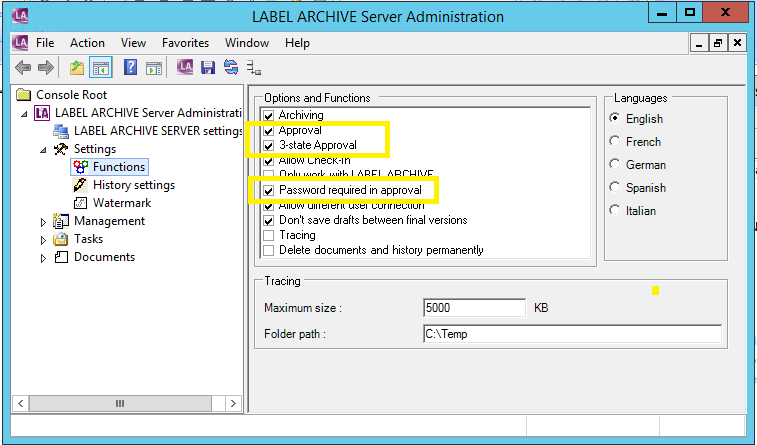 “Password Required in Approval” fails to work for Active Directory accounts in LABEL ARCHIVE v2014 / TEKLYNX CENTRAL 4.5. TEKLYNX CENTRAL added AD password verification (during document approval) with version 4.7. We confirmed that this feature in TEKLYNX CENTRAL version 5.0. Upgrade to the latest version of LABEL ARCHIVE or TEKLYNX CENTRAL.